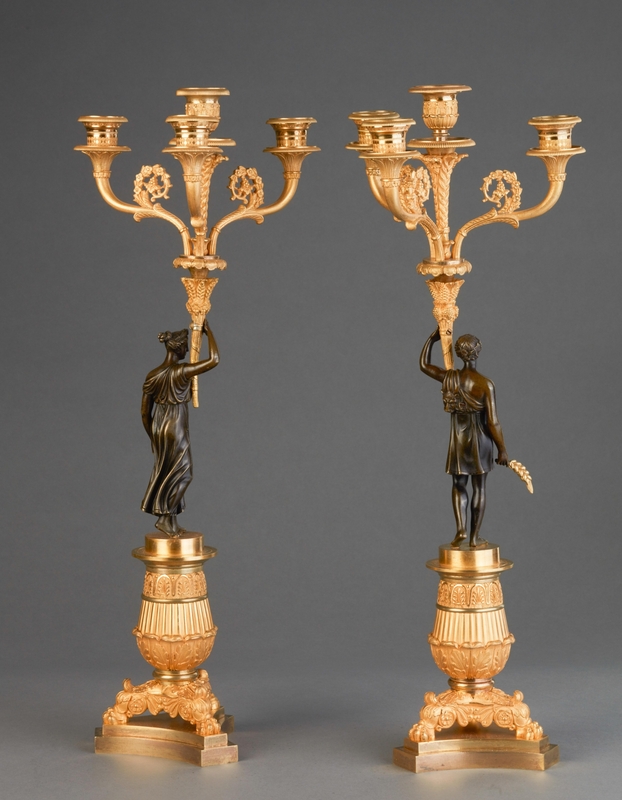 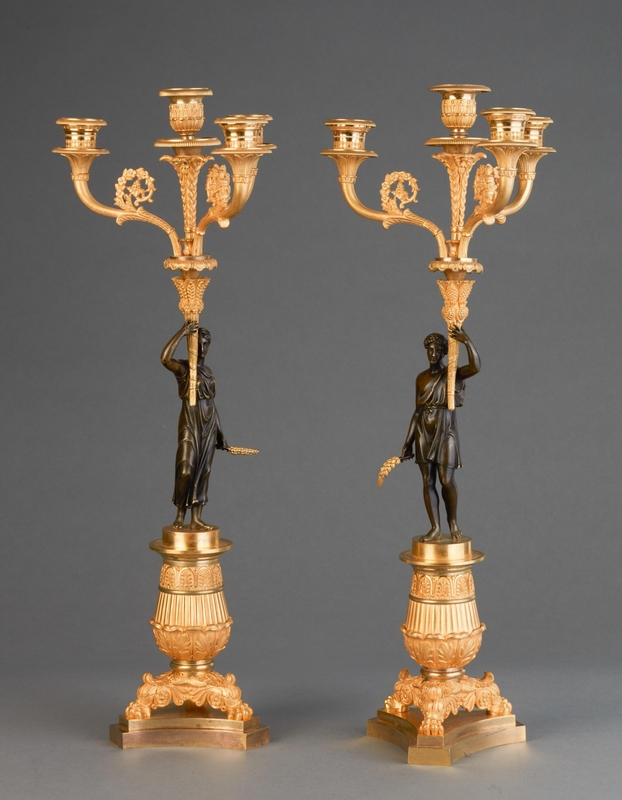 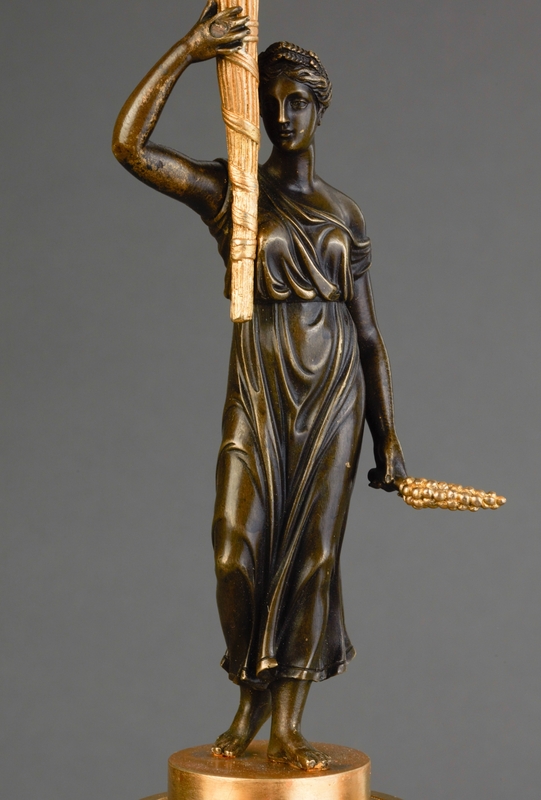 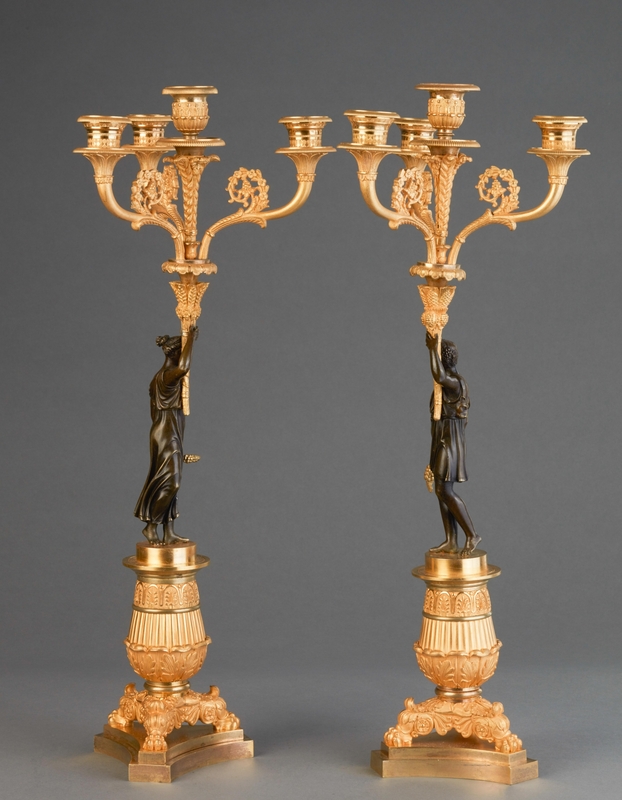 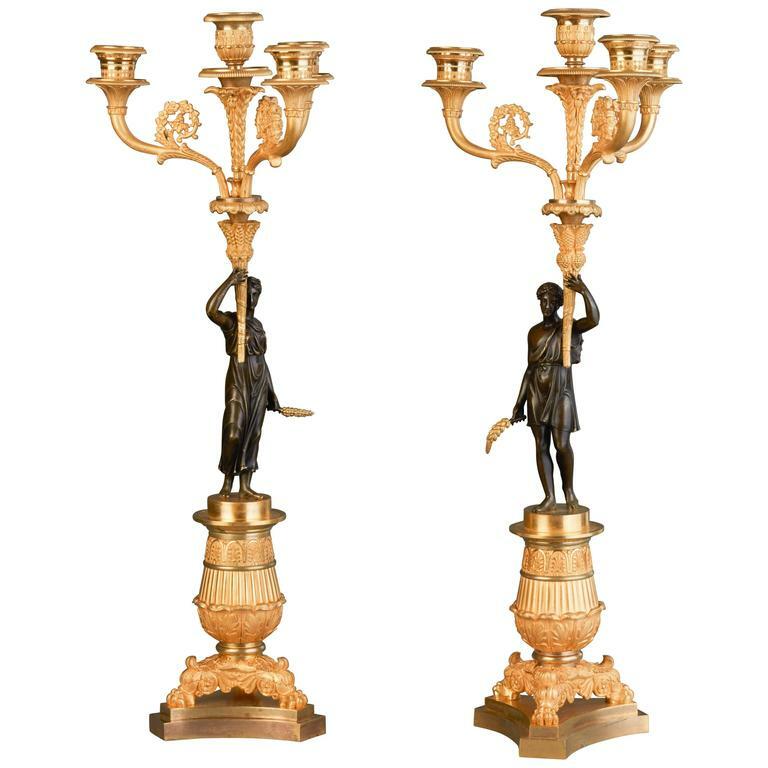 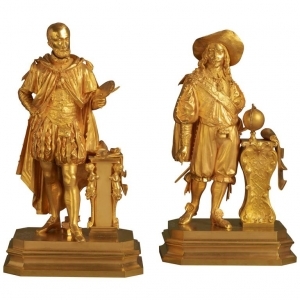 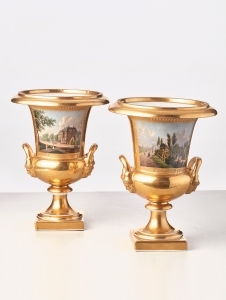 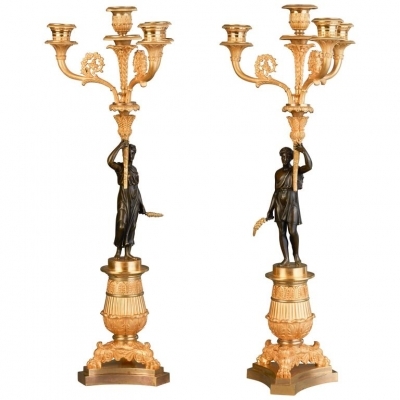 A good pair of four light empire candle sticks, the beautiful patinated and fire gilt couple (man and a woman) holding the corn and the candle holders in the other hand. 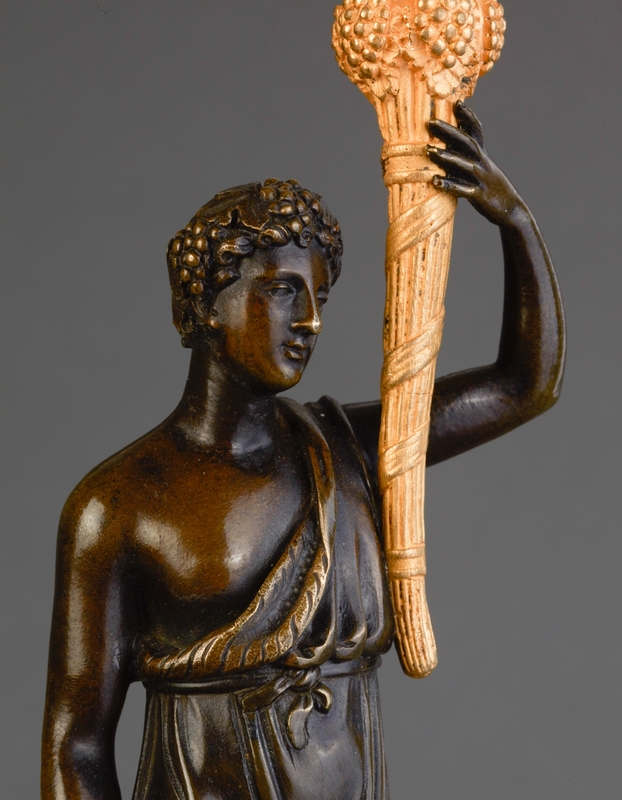 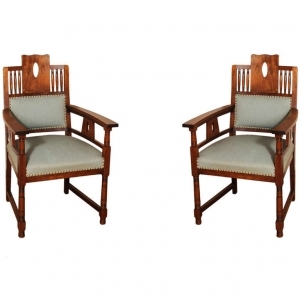 Mounted on a classical empire circular base with triangle platform, circa 1820. 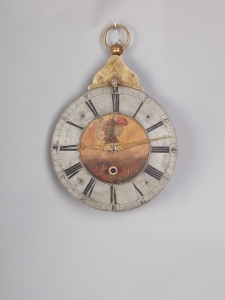 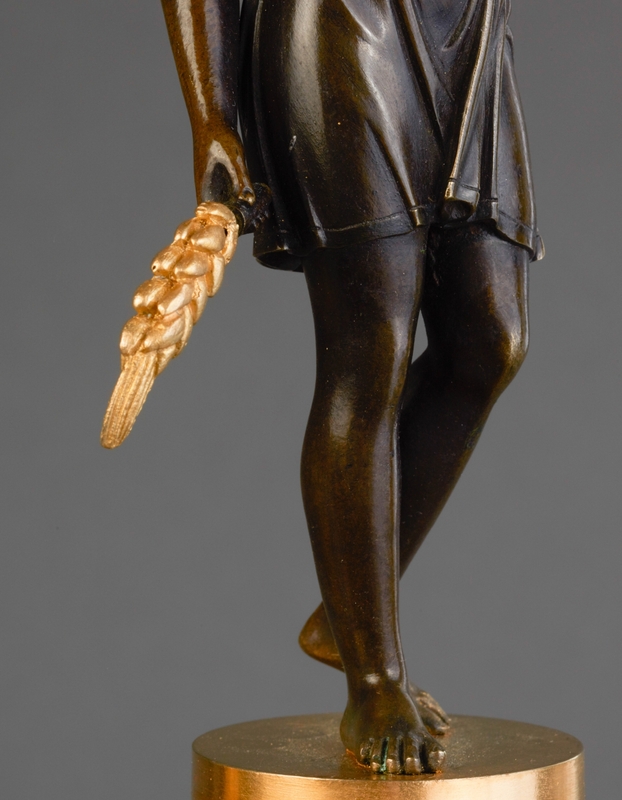 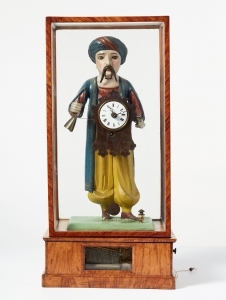 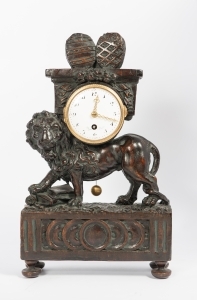 A German wooden animated clock figure, circa 1840.